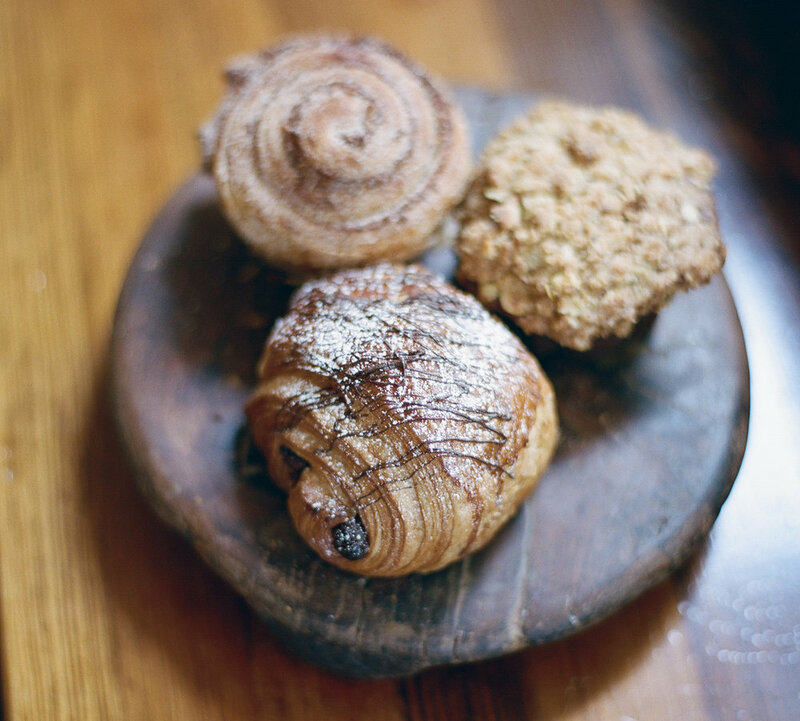 The pastry selection of Blue Dog is broad in variety and technique. 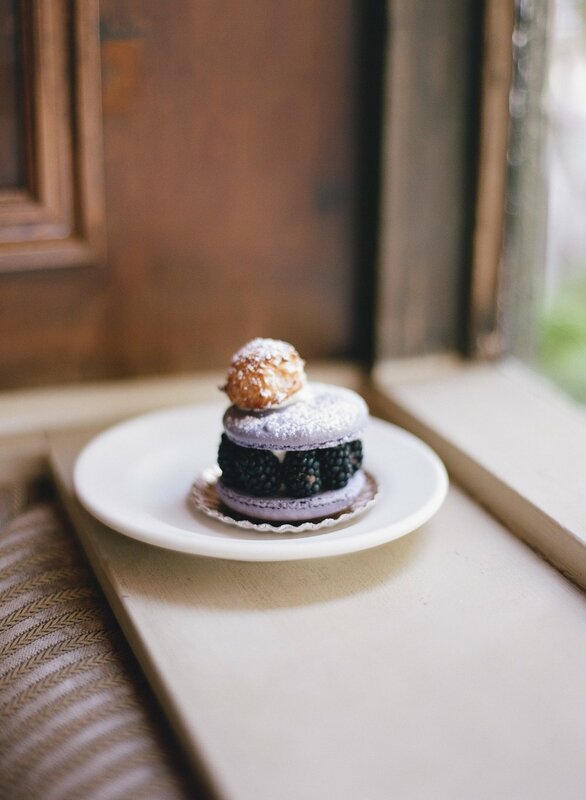 Our pastry menu includes traditional European style viennoiserie of croissant, brioche, and puff pastry as well as American classics of chocolate chip cookies, blueberry muffins, and cream pies. We also offer a selection of rotating desserts and Parisian macarons. Our focus is to provide high quality artisan products that are delicious and inviting. We have a rotating selection of seasonal products in which we take advantage of the bounty of Kentucky farmland. This gives us a chance to honor and capture the diversity of what the region has to offer. We use Red Hog heritage pork and heirloom vegetables to create daily savory pastry offerings. Seasonally, we have access to amazing local fruit, including berries, apples, and peaches. All of our butter-laminated pastry is made with high quality European style butter, giving Blue Dog's repertoire superior flavor and texture. Croissants are handmade daily using our own sourdough starter for added flavor and complexity. Like our Crescent Hill neighborhood, Blue Dog has flourished over the past two decades. New equipment and additional space have made it possible for us to serve a growing community of customers who recognize our staff's commitment to quality.